My favourite time of the year has finally arrived and I honestly couldn't be more excited about it. 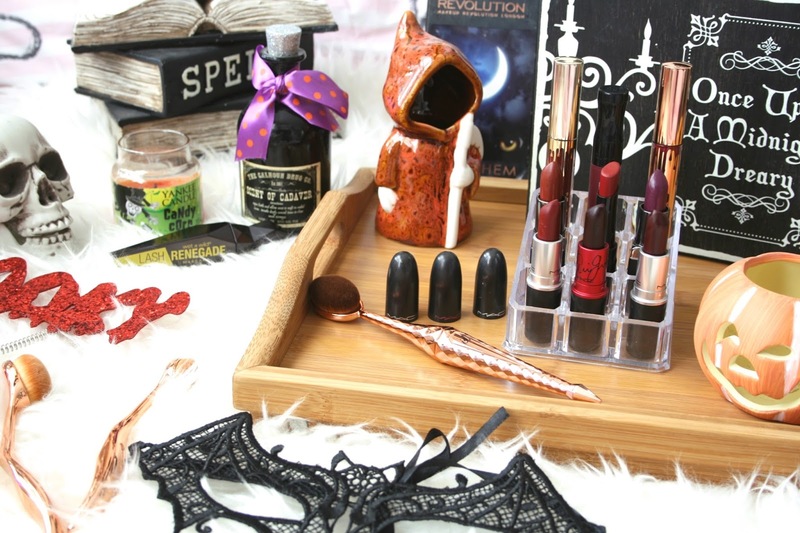 October time is all about all things Halloween and Berry lips in my opinion. Although truth be told for me it started as soon as September arrived, yes I've had my room decorated for Halloween since September and I have no shame. 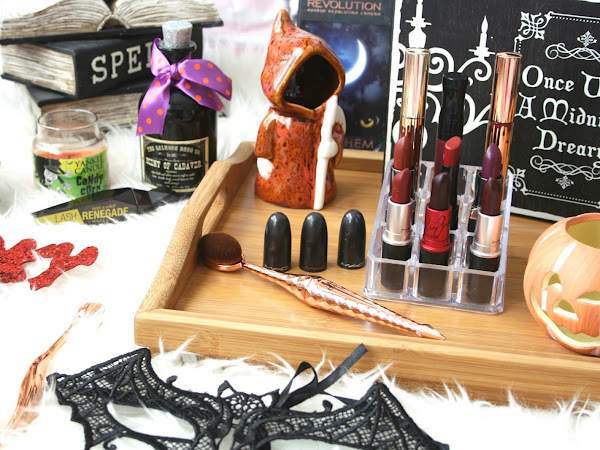 So I sat down at my makeup drawers and decided to pick out my nine Autumnal lip picks for this Autumn. Bourjois has always been one of those brands that I never tried a lot of and 9 times out of 10 I'd walk right by their makeup stand. Why? Well I guess it's because they don't really release things that I find I really want to try. I used to really want to try their foundations but sadly they are all too yellow toned for my skin and I guess since then I just hard pass right by the makeup stands. 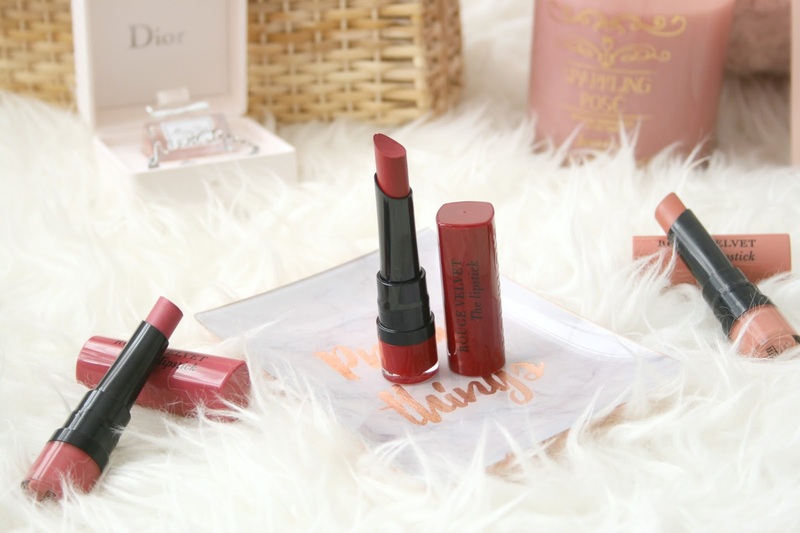 However they did recently release a lipstick version of their best selling Rouge Velvet range and I was quite intrigued to find out if they really were that good or was it just another hype on Instagram. So recently I've been placing alot of online orders and I mean ALOT. 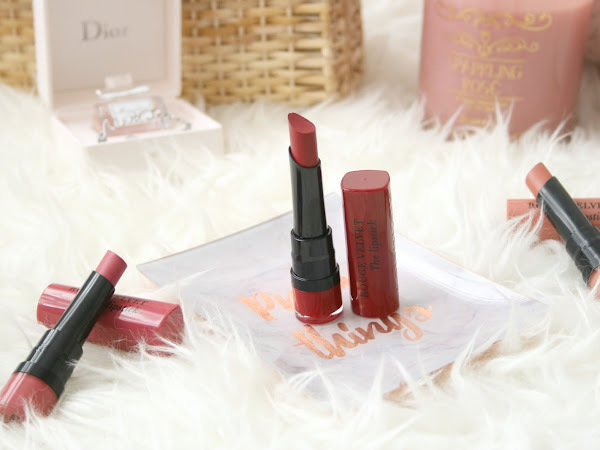 One of those well actually it was twice I decided to finally get around to placing an order on Happy Place Cosmetics. So this was one of those websites that I had been following for a long time and I had always wanted to order stuff from it but because everything is heavy it meant shipping was a tad expensive however as August was my Birthday month I did not hesitate when it came to shipping charges and placed two orders. Like I literally received one order and on that same day I had placed another order. 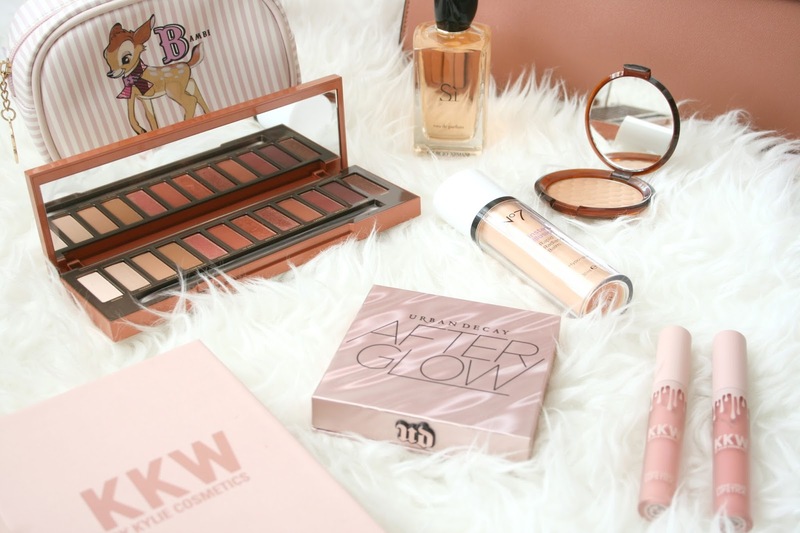 Sometimes I find myself awing over products because of how pretty they are, more times than often I purchase products because of how pretty they are. Anybody else forever using the excuse "oh this would look so good in photos"?! please tell me it's not just me. 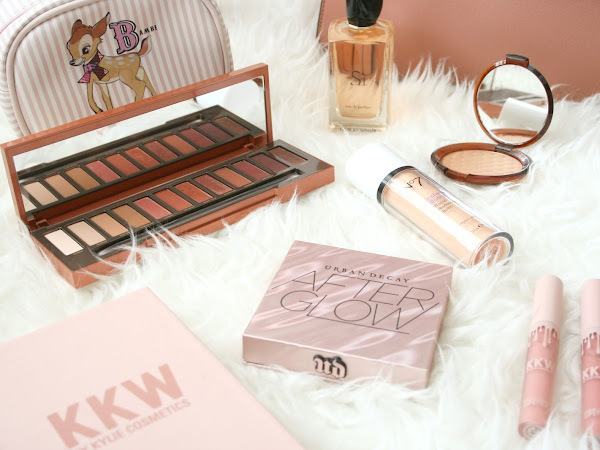 I was clearing through my makeup drawers one day last week and pulled out these 5 products and just kind of stared with little heart eyes because I mean the packaging is just so pretty, which got me thinking they'd definitely get the approval of Blair Waldorf right? !